Choosing the perfect engagement ring can be a minefield – you have to take into account your partner’s tastes plus the latest trends, after all, they’re going to wear it for the rest of their lives! 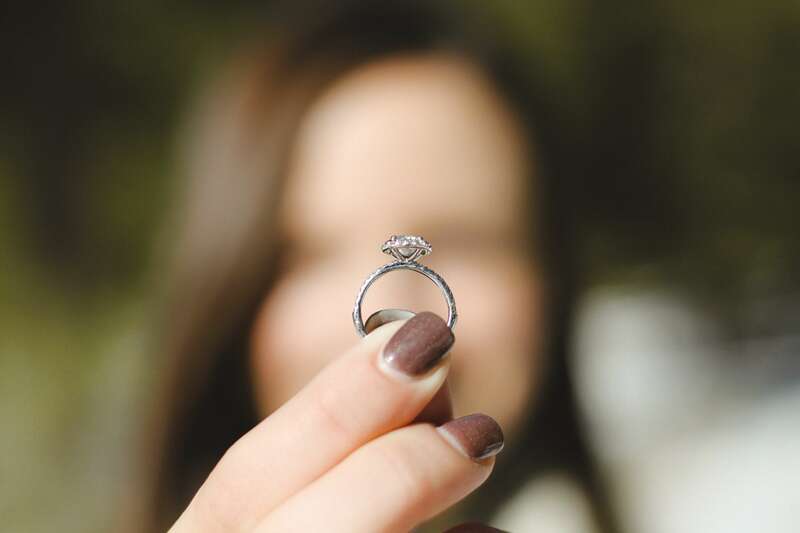 Luckily for me, I don’t think I’ll ever have to choose one (unless it’s my own) but if you’re thinking of popping the question soon, this handy guide should help you out when you’re looking at engagement rings Parramatta. Asking someone to marry you should be a happy and exciting experience — so don’t let finding that special ring stress you out and ruin the moment. In this guide, you’ll find out everything you need to know about engagement rings to help you make the right decision. And it’s the perfect time to do it, with Valentine’s Day just around the corner. The first place to start when choosing the perfect engagement ring is with the aesthetics. This includes the type of stone. An icon of luxury and created for a lifetime, the classic diamond solitaire ring is sure to impress, plus, there are plenty of variations to choose from. Alternatively, you could consider going for something less traditional. Show your partner how much thought you’ve put into the process by selecting their favourite gemstone for their engagement ring. Check out which jewellery they often wear and make a note. If they keep talking about sapphire rings and love deep blue accessories, you could definitely go for a sapphire cluster ring, like Kate Middleton’s. Alternatively you could choose their birthstone. Whether you go for the classic, white diamond ring or a vivid gemstone, as long as it special to you as a couple, it will work. The only thing to bear in mind is that some stones are softer than others, so will need extra care. Diamonds, however, are the most hardwearing gemstones, with a hardness of 10 on the Mohs scale. It’s for this reason that they symbolise ever-lasting love – diamonds are forever. What is involved in choosing a diamond engagement ring? If you want a diamond ring, there are a few things you should consider. The type of gold you choose for the band, for example, is going to affect its aesthetic, while experts tell us to consider the ‘four Cs’ when it comes to diamond engagement rings: cut, colour, clarity, and carat-weight. Some people adore yellow gold, while others only wear white gold — which does your partner prefer? White gold and platinum seem to be the most popular options, perhaps due to the neutrality of the colour, with platinum coming at a higher price. However, yellow gold is considered more vintage and traditional — a trend many are into today — and platinum has the added advantage of its hardiness and durability. If you’re unsure, take note of what jewellery your partner already wears and go for that. Here are the main diamond cuts that you can choose between. Emerald: The emerald cut diamond is truly stunning and is sure to attract plenty of compliments. This style can be square or rectangular, but has tapered corners and multiple pavilion facets. Many associate sophistication and elegance with the emerald cut diamond. Asscher: Ever since the Millennium, the square Asscher cut diamond has enjoyed a resurgence in success. Introduced in 1902, the Asscher cut diamond features a high crown and large facets. Plus, this style is renowned for its level of shine and sparkle. Old European round: Currently, there’s a shift towards vintage trends — and this includes diamonds. Opt for an antique engagement ring and you could offer your partner a prized and cherished piece of history. The old European cut diamond is the antique version of the modern brilliant round cut, with the difference being that it is older (pre 1920s), and hand cut as opposed to machine cut. An old European round cut diamond will not be as neat as a modern cut one, but it will have a distinctive appeal and a more unique design. What is also good about choosing an older stone is that, in addition to a unique look, they are usually?better value for money. Modern brilliant round: If you’re reading this guide, chances are that you are unsure which type of stone your partner will love the most. In that case, perhaps play it relatively safe and present a modern brilliant round stone — the most popular diamond cut. A solitaire ring does not necessarily have to be a single stone, it can be embellished on the shoulders (I love these rings!) or can be arranged around the main gemstone in a halo-like design. Transitional modern brilliant round: Not sure about going antique but don’t want the modern brilliant round either? Then, meet in the middle with a transitional modern brilliant round cut diamond. This style was most popular during the 1930s-60s, and these diamonds are often very similar to modern brilliant round cut designs. Princess: A truly beautiful design, the princess cut ring will astound anyone you present it to – perfect for the princess in your life (ahem, sorry). Almost as popular as modern brilliant round, this diamond cut is available in square or rectangle shapes and features defined, pointed corners. If you want to research more diamond cuts, check out these: cushion, pear (I like this one too – hint hint), marquise, old mine, old Dutch, fancy (e.g. heart shaped ones). In your mind, you probably have an image of a transparent, sparkling stone. However, diamonds actually come in various shades — although, the colourless stone has the highest grade. Diamonds are graded from a D colour, which is colourless, to a Z, which is light yellow. Generally, anything higher than an I colour can be considered as very high colour graded and will have a nice white colour. Nothing is perfect, and that goes for diamonds too. Since diamonds are created in extreme environments far below the surface of the earth, they have certain faults and blemishes — known as inclusions in the industry. The range of inclusions varies from FL (flawless, which means that no inclusions are visible), to I3 (which is a stone that clearly shows its inclusions under 10x magnification). Only stones between FL and SI1 or SI2 (slightly included) are recommended if you want decent clarity. Carat equals weight in industry terms — and the higher the carat, the higher the price. Even with all this info, choosing the perfect engagement ring is tough. Try bringing a trusted friend or family member with you for help. Preferably someone who also knows your partner well – their bestie would be the perfect choice. I also think it’s really nice if the ring is special – maybe passed down to you from a family member or something similar – so make sure you consider this when choosing the perfect engagement ring.